The Baby Shower ceremony is a huge event in human life, and every married couple organizes the event with total enthusiasm by sending out invitation cards to their loved ones. Hosting a baby shower can demand a lot of investment in terms of time and planning. 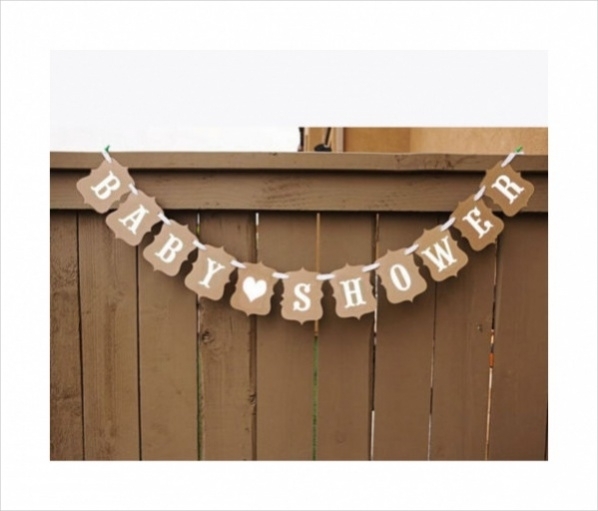 Decoration remains on top of the list, and if you are not too pleased with what’s available in the market to decorate your place, you can always get hold of printable Baby Shower decorations. 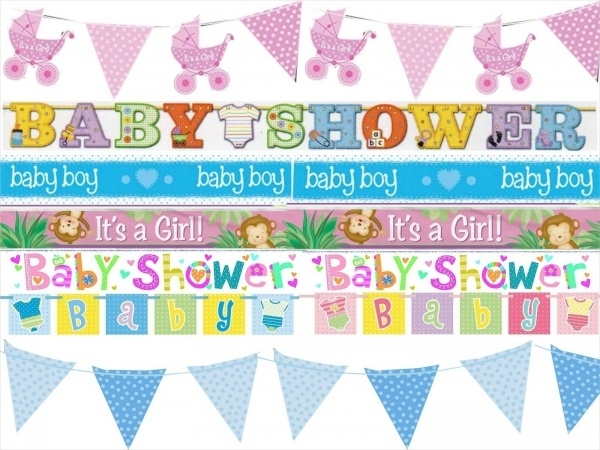 In this below post, we have collected a few wonderfully designed Baby Shower Banners. Take a look. For those of you looking to get a unique baby shower template, this Free Printable Banners For Baby Shower template will fulfill the requirement beautifully. The collection as you can see is very comprehensive, and you can use it to decorate the place. You can also see the Baby Shower Banner Quotes.You may also see Event Banners. If you are planning for a lavish baby shower function and wants to decorate the party in the best way possible, you shouldn’t miss out on this Baby Shower Invitation Banner. You may also see Happy Birthday Banners. Ribbon Baby Shower Banner template is simple, cute and adorable that you can use to decorate the party place. Whether it is a baby boy or a baby girl, you can use this template. Clipart Baby Shower Banner template has been created especially by keeping the baby shower ceremony in mind. It is a fully customizable template, and it is available in high resolution as well. Personalized Baby Shower Banner template will be an ideal choice for those who are looking for a perfect banner for their baby shower function. The color scheme and design pattern used in this template make it look pretty attractive. 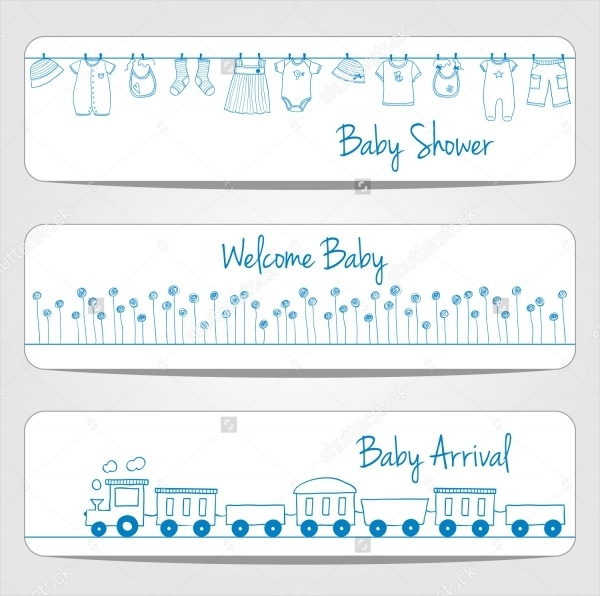 Hand-Drawn Baby Shower Banners template will be an ideal selection of baby shower banner design for those who are looking for some creative inspiration. This template is available in high-resolution and in different sizes to fit into your requirements. 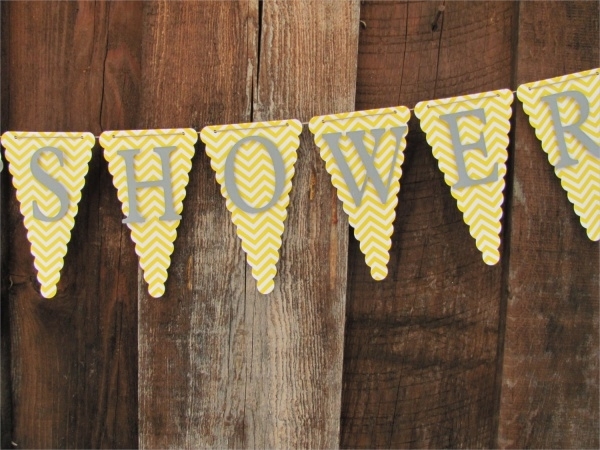 You can use this Printable Baby Shower Banner template to decorate your baby shower. This banner can be hung on your mantle, above the dinner table. Colors like pink and shimmering gold add that additional beauty to this template. You can also see the Baby Shower Banner Boy Templates. This Vector Baby Shower Banner is a simple and magnificent looking baby shower banner template which offers a comprehensive list which is apt for the decoration. You can even make modification in this template as per your liking. If the big news is already out that the new arrival in the family is going to be a baby girl, you should opt for this Vintage Baby Shower Banner banner template. If you are looking for a beautifully crafted baby shower banner template that you can use to decorate your baby shower, then you should use this Baby Shower Party Banner template. Editable Baby Shower Banner template is available in 4″x5″ size and it is available in navy blue and pink color. 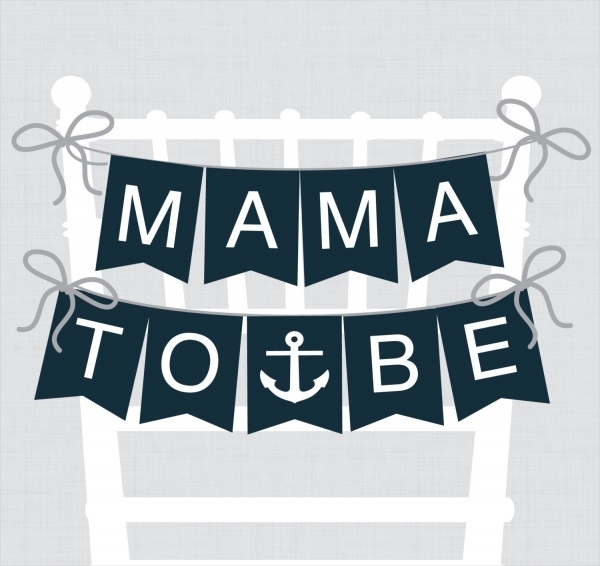 This banner template will help you in decorating your baby shower in the most elegant manner. 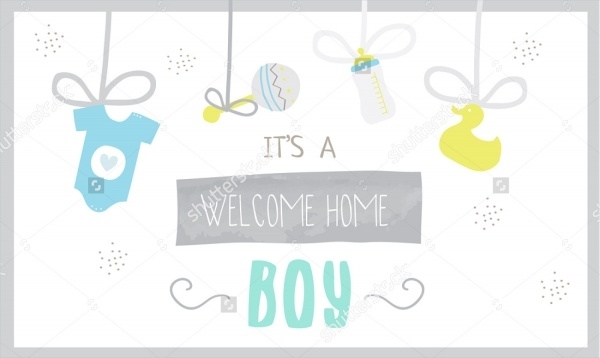 If you are looking to design a banner that should be well designed and articulately created, you should download this Simple Baby Shower Banner template. This simple yet classy look will suit the occasion perfectly. Colorful Baby Shower Banner template can be used for those who are looking for something creative that they can use for decorating their baby shower. Attractive color and design pattern makes it a perfect fit for your requirement. This is a simple yet stylishly designed baby shower banner template that will help you in decorating your baby shower in the most attractive manner. You can change colors, text as per your liking and use it for your decoration purposes. 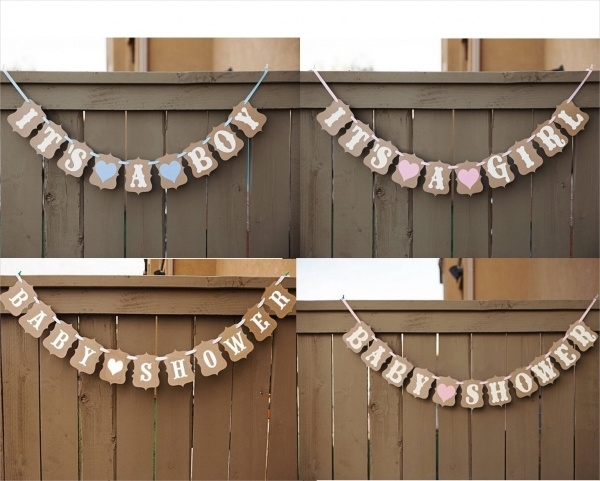 How can you use these “Baby Shower Banner Designs”? 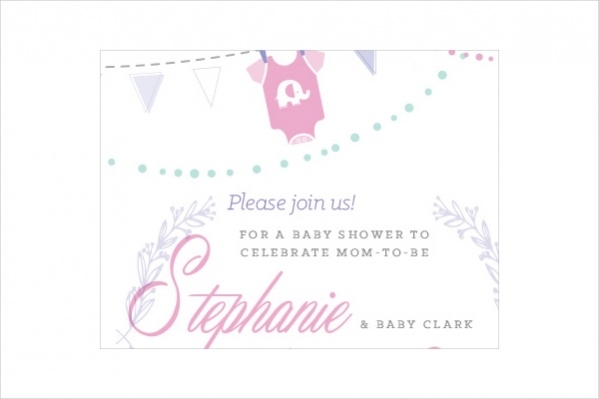 The baby shower banner templates as mentioned above are beautiful in design and completely attractive in outlook. They are 100% customizable, and you can use smart objects which will enable you to place any image or object in the design. 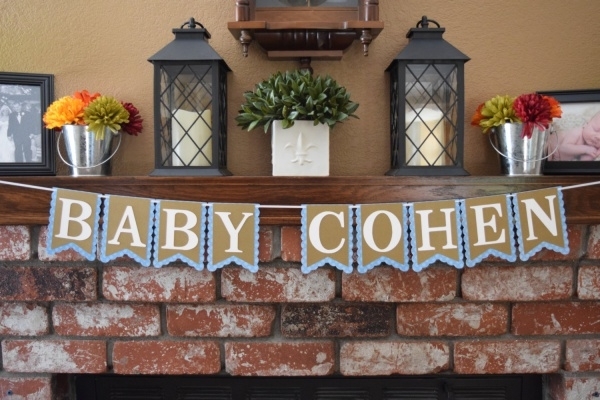 Banners play a significant role when it comes to decorating a baby shower, and these ready-made templates will enable you to decorate it in the most creative manner possible. After downloading the templates, you should customize them as per your need and then cut them and use it for your decoration purpose. It will save you a lot of time and energy for sure. You may also see Free Banners. 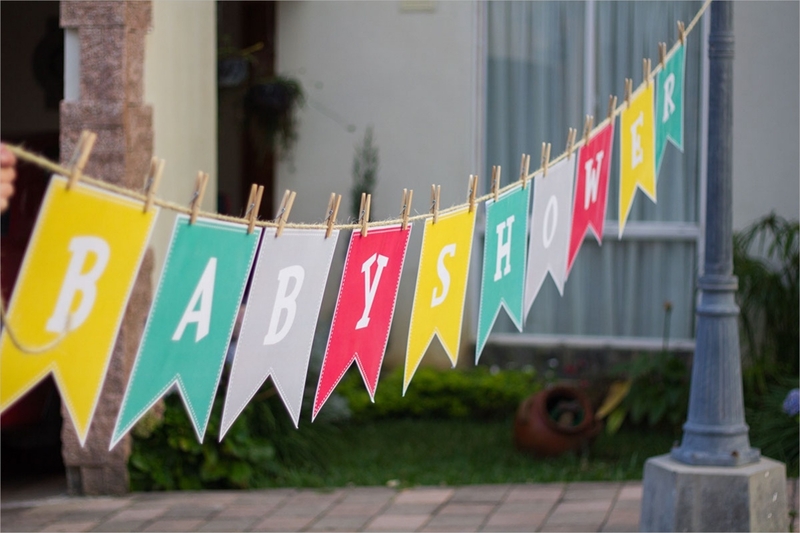 We have a vast collection of baby shower banner templates, and you should check them out to get further clarity on it. You don’t need to be a design expert for using these templates. They can be easily downloaded and customized. Select the best template that matches your requirement, download it, customize it, print it.